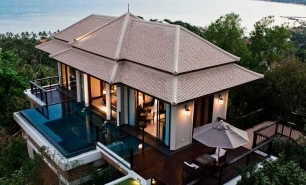 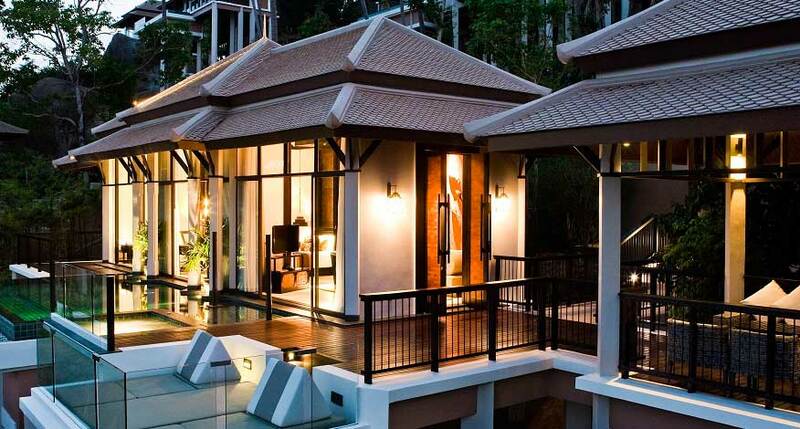 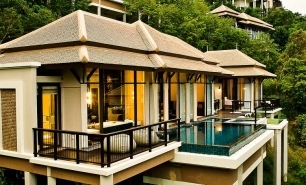 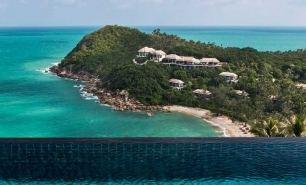 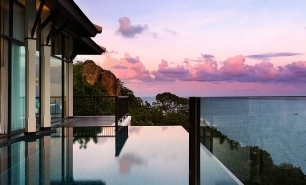 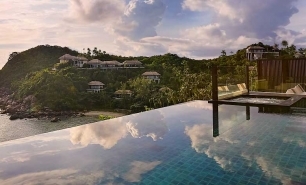 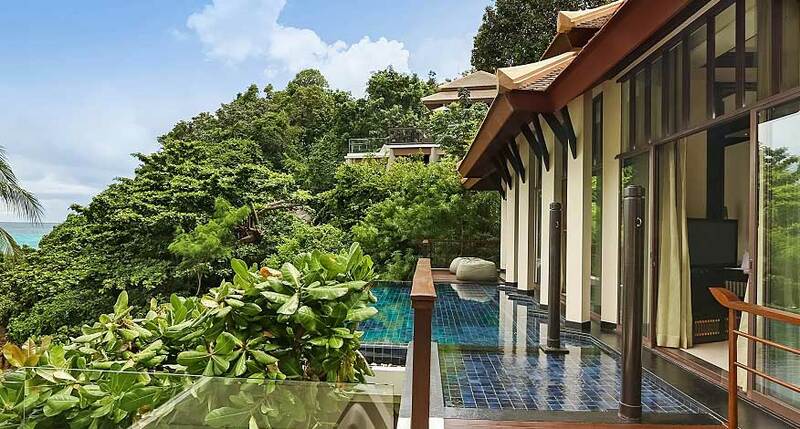 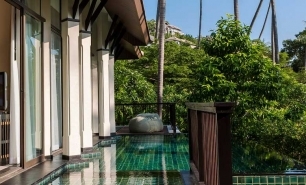 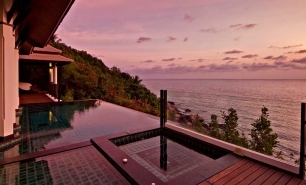 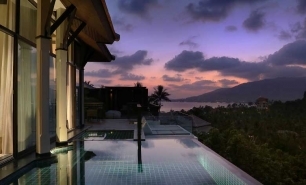 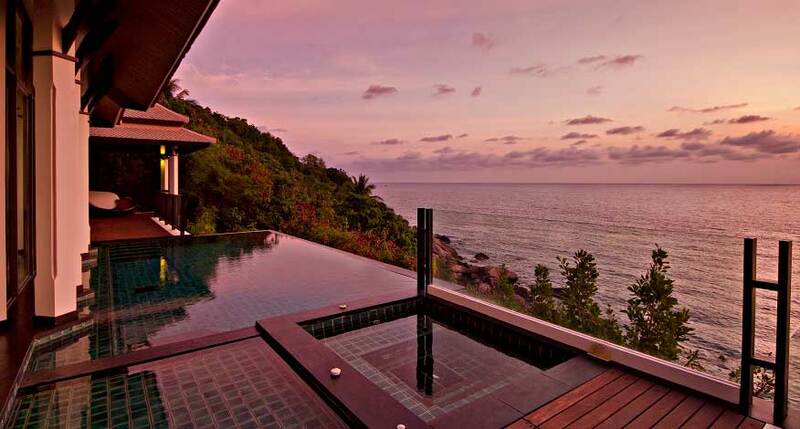 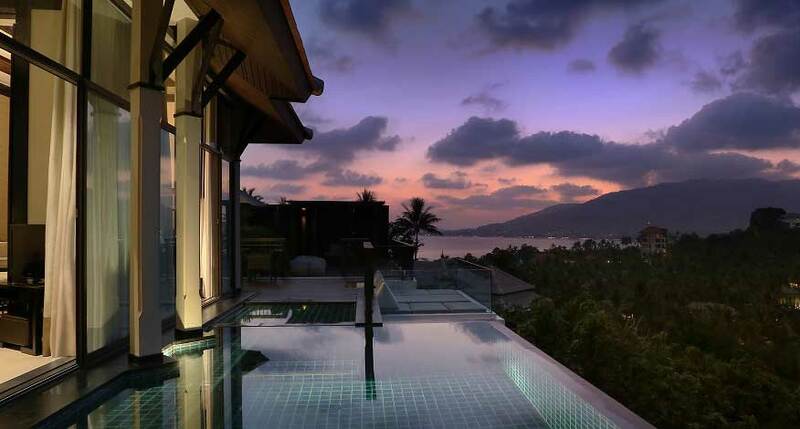 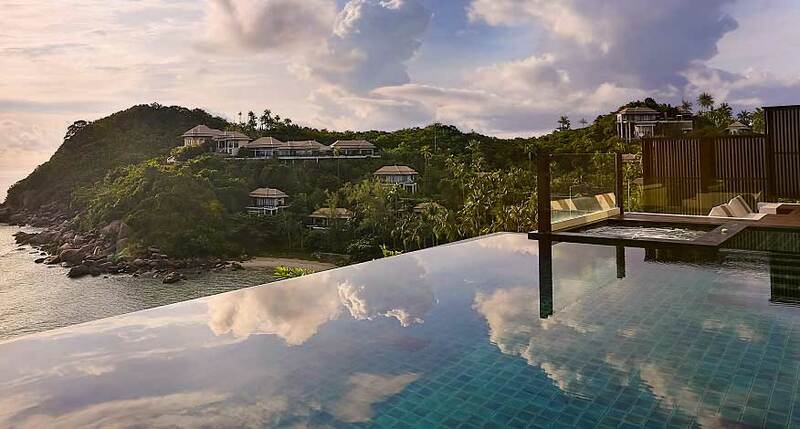 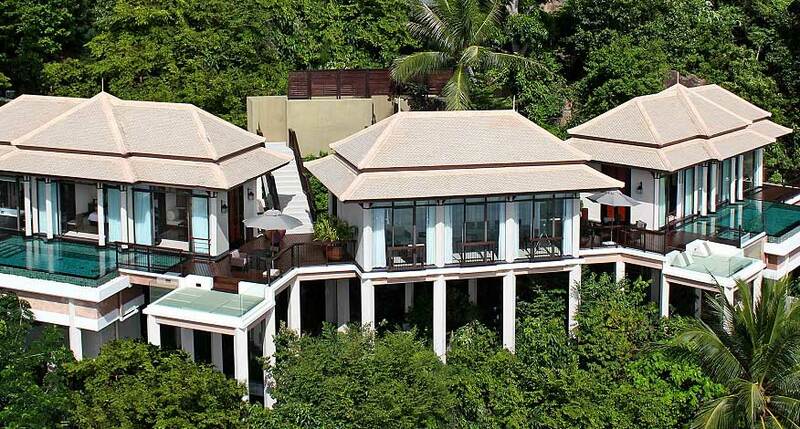 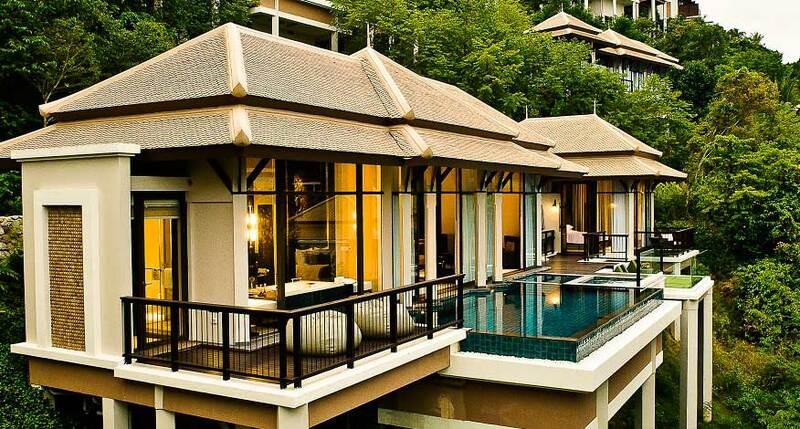 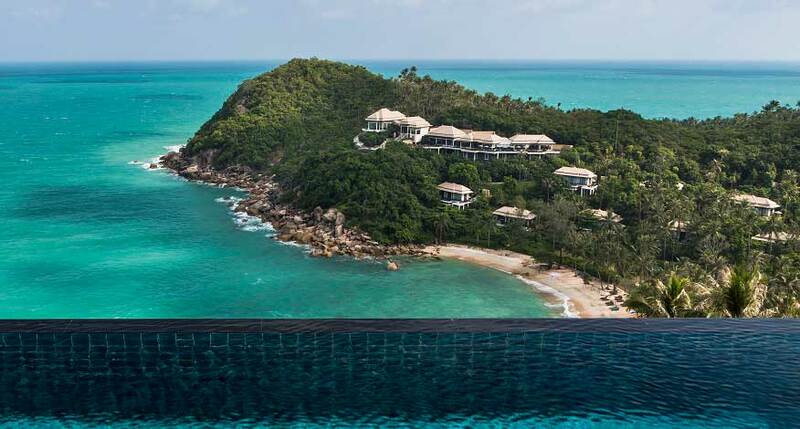 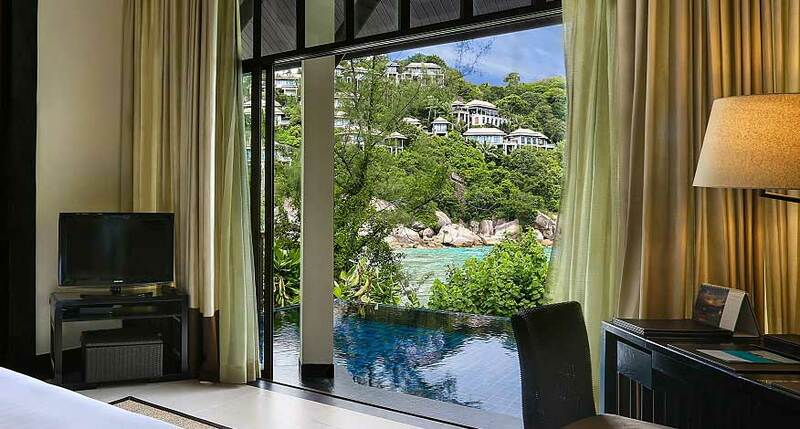 Banyan Tree Samui is an all-pool villa resort located on a hillside overlooking the picturesque Lamai Bay on the southeastern coast of Koh Samui, Thailand. 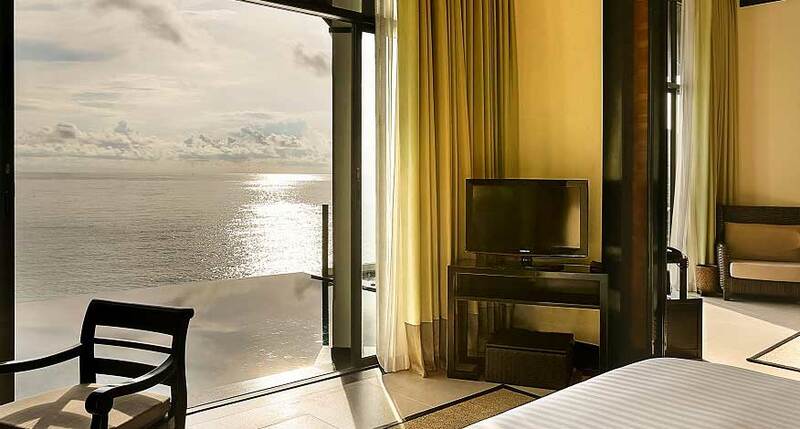 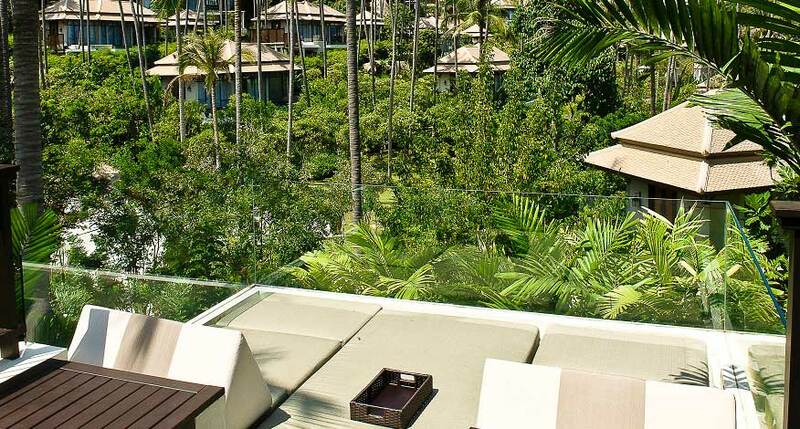 The resort combines a picturesque tropical holiday location with luxurious all-pool villa accommodations. 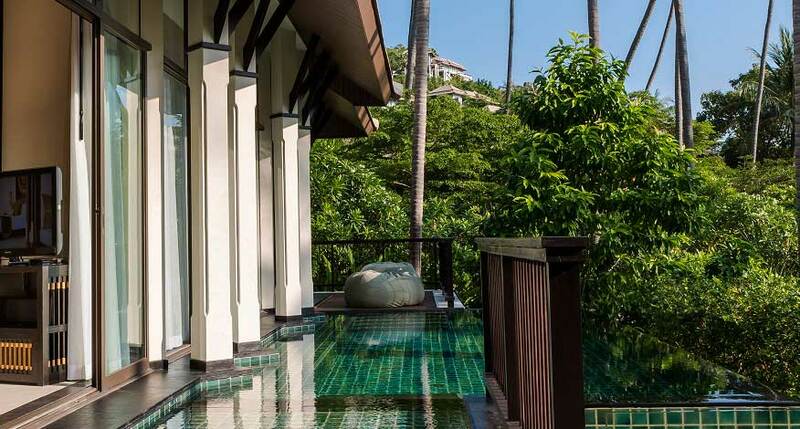 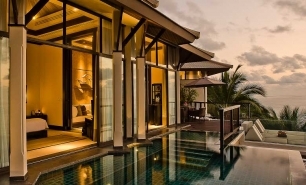 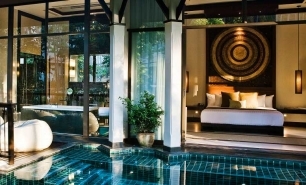 The resort’s 88 all-pool villas evoke a contemporary Thai style and fall into three major categories based on their size and location within the resort. 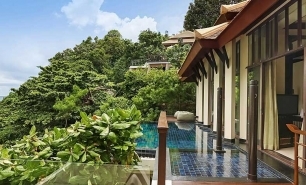 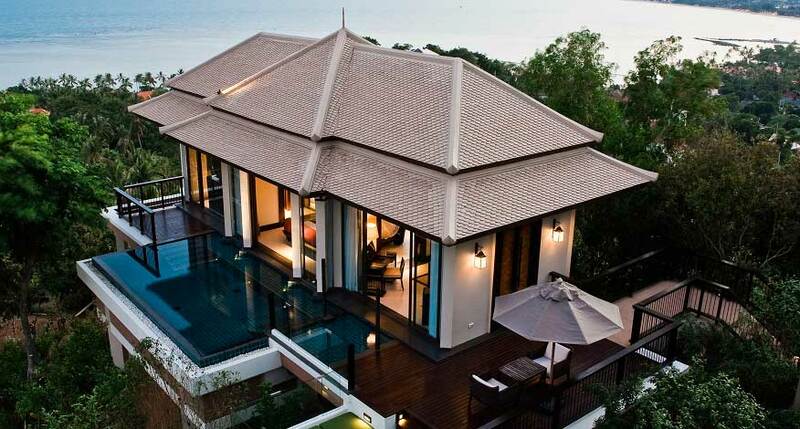 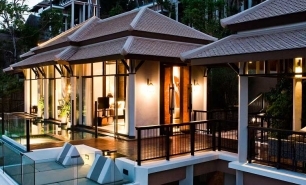 Garden Pool Villas (191sqm to 222sqm) face a hillside covered with lush vegetation. 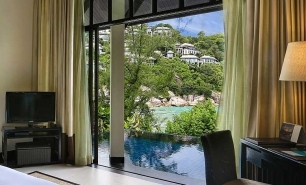 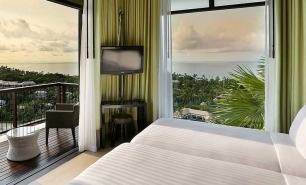 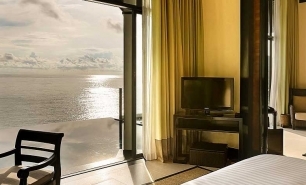 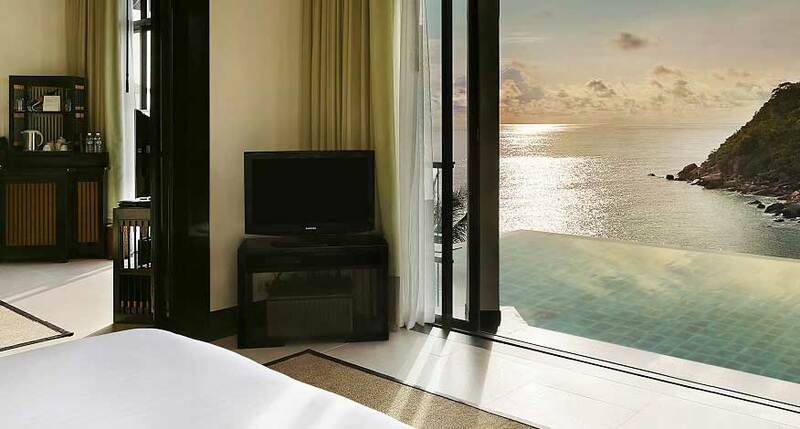 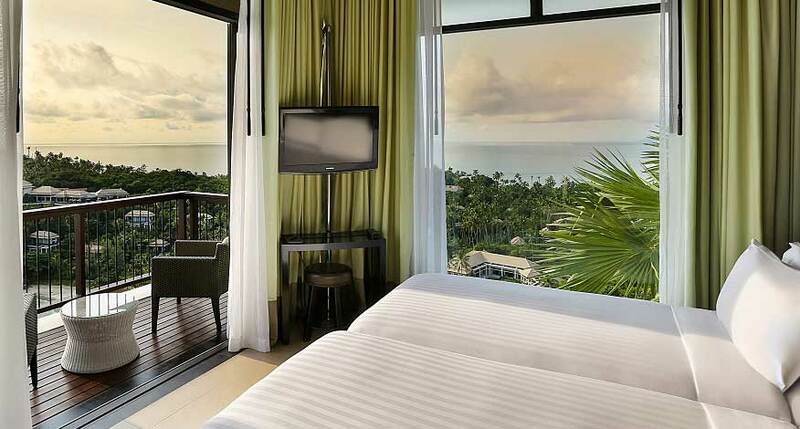 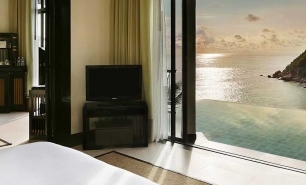 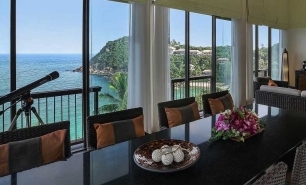 Ocean View Pool, Royal Banyan Pool, and Hillcrest Deluxe Ocean View Pool villas have ocean views and are located high on the hillside, while Beach Front Pool Villas are closest to the resort’s beach. 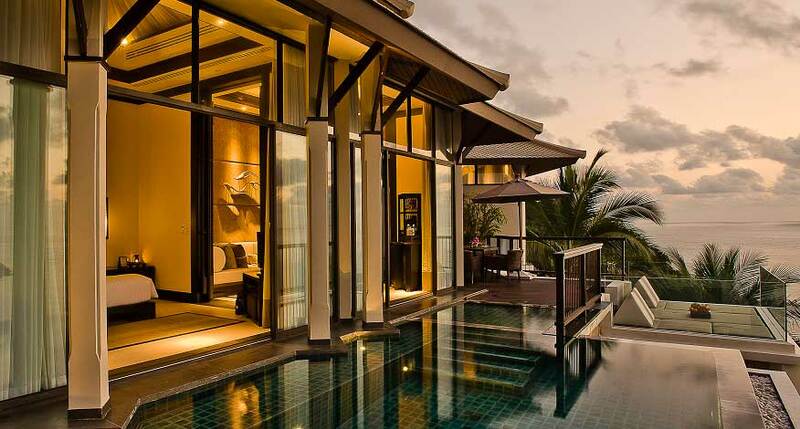 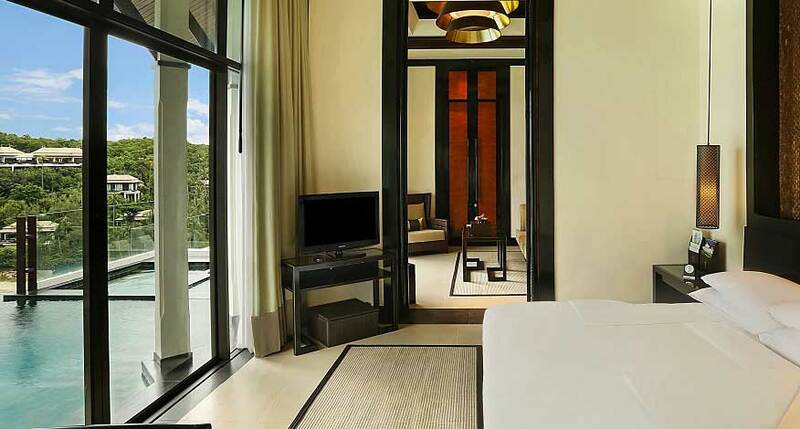 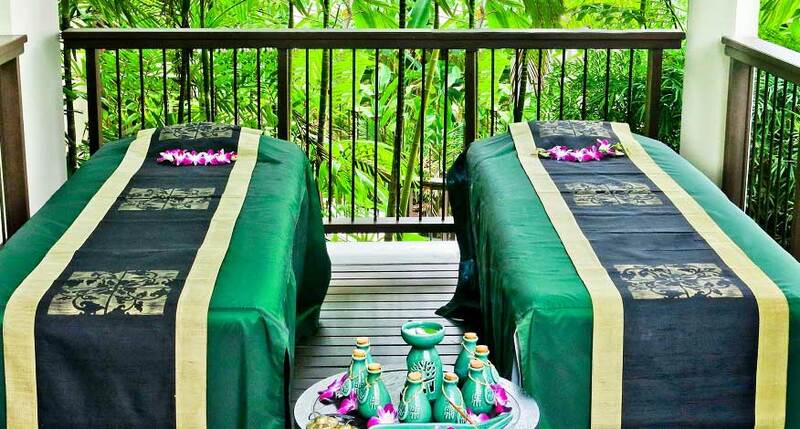 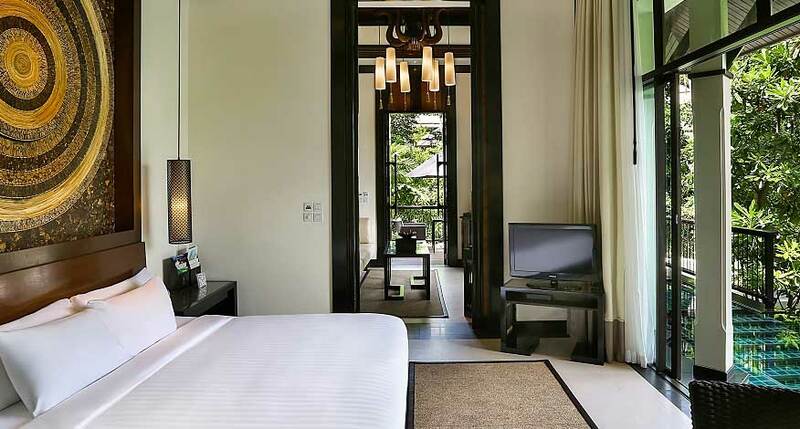 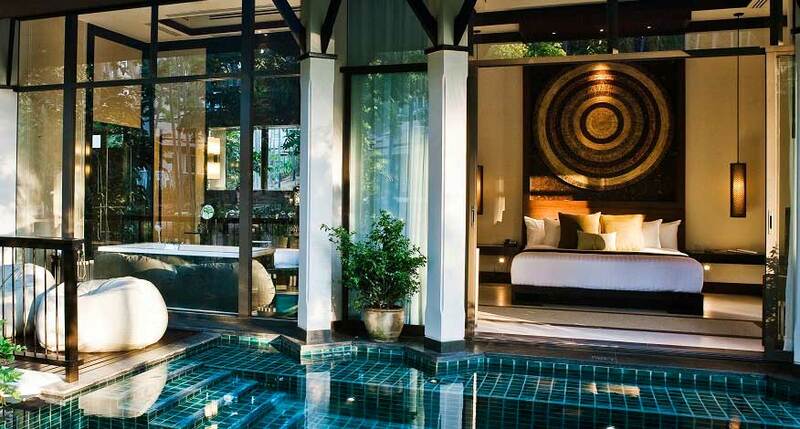 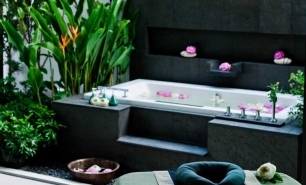 The Spa Pool Villas have dedicated spa rooms, while the Sanctuary Pool Villa (428 sqm) can be rented by families. 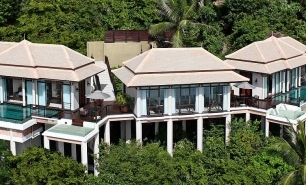 Saffron is Banyan Tree Samui's signature restaurant and it offers modern Thai cuisine. 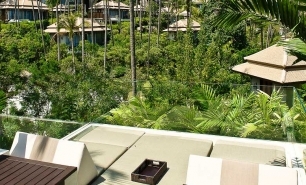 The Edge is an all-day restaurant serving international cuisine and local dishes. 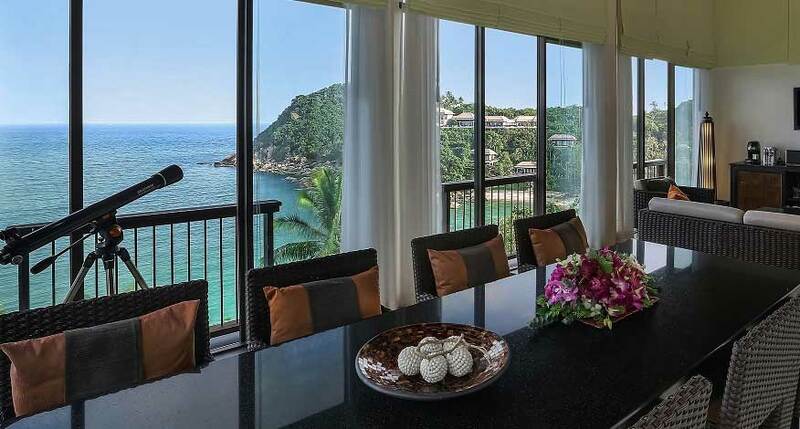 Other dining options include the Lobby Lounge, Pool Bar, and Sands which offers a beach grill with great seafood. 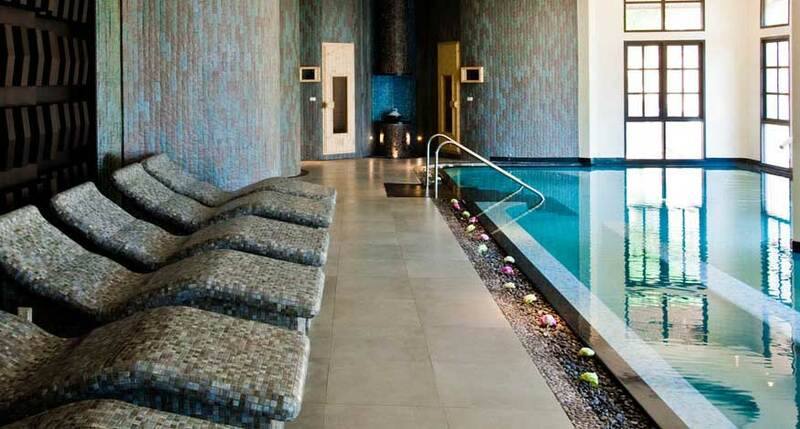 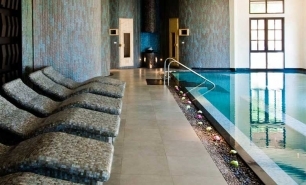 The hydrothermal wellness spa is a special feature and highlight of the resort. 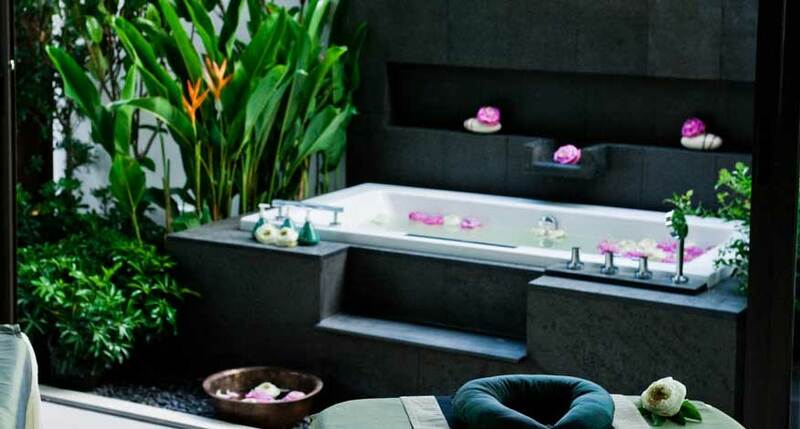 It evokes feelings of being in an actual rainforest with jets, waterfalls, and scented steam chambers. 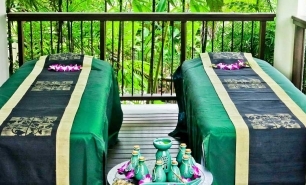 The resort also has a well-equipped fitness centre, library, and beauty shop.